I love a good day at the beach and walking this long flight of stairs up the look out. Click the link to Sky Watch Friday to see what hundreds of bloggers from all over have found in their sky to share this week. 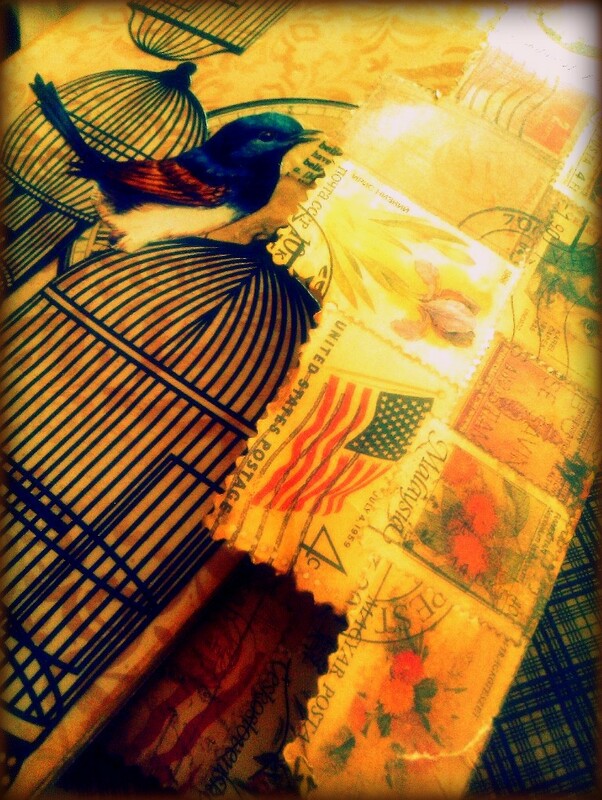 One of the art journals from our recent adventures, love old postage stamps and birds flying free. Great skywatch shot. I love the beach too. happy skywatching! 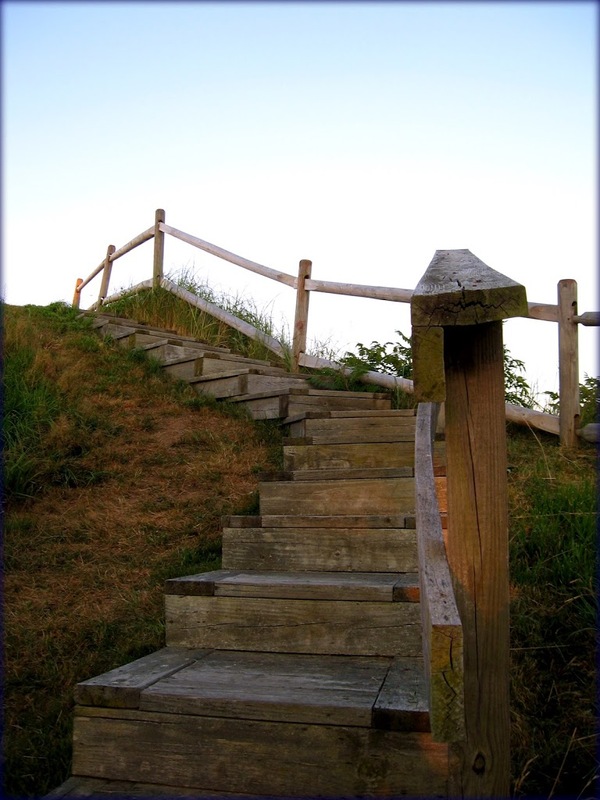 Very appropriate quote…love those stairs my friend! Oh I love the simplicity of this shot!!! Lovely clear skies, beautiful words and a wonderful post for the day, Mandy! Happy SWF! Enjoy your weekend! Those stairs lend a great perspective to the photo and quote. Boom &amp; Gary of the Vermilon River, Canada. Wonderful shot, steps to the sky. Simply gorgeous! Happy sky watching and a great weekend too.<br /><br />Your comment on my <a href="http://www.cottrillseyeview.com/2012/08/swimming-to-beat-heat.html&quot; rel="nofollow">Sky Shot</a> will be greatly appreciated. Great shot! I love the perspective you photographed!